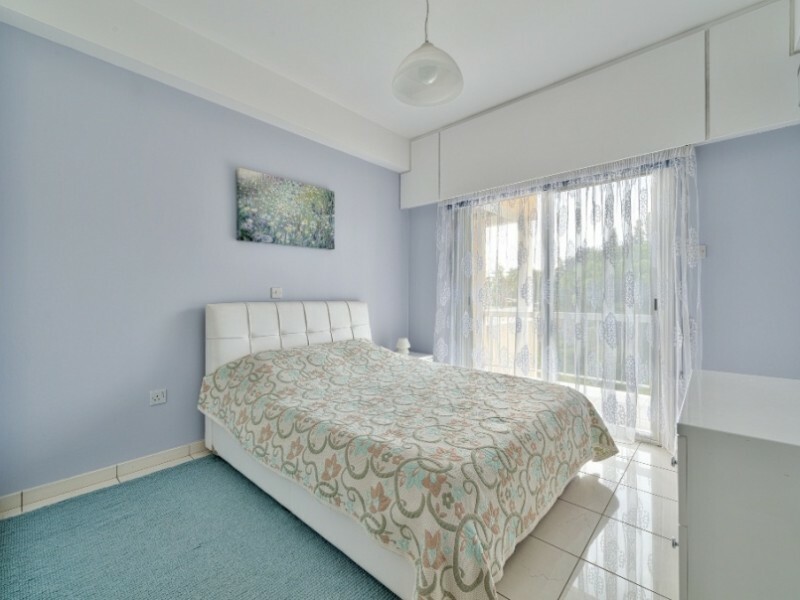 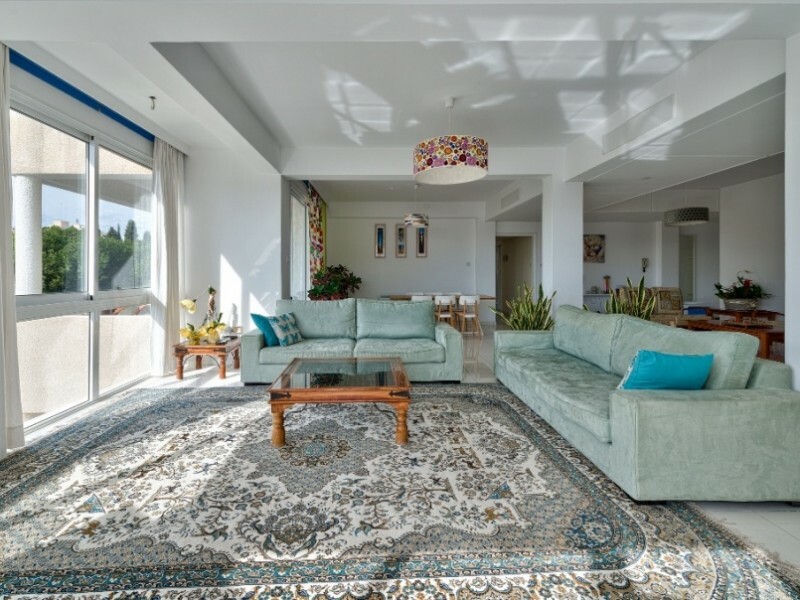 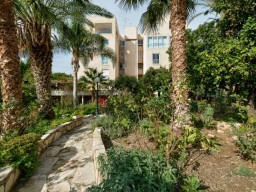 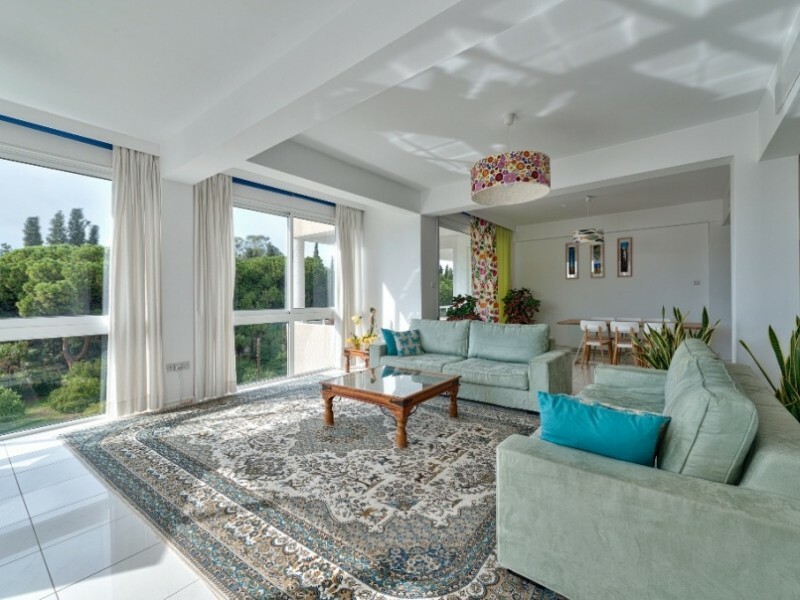 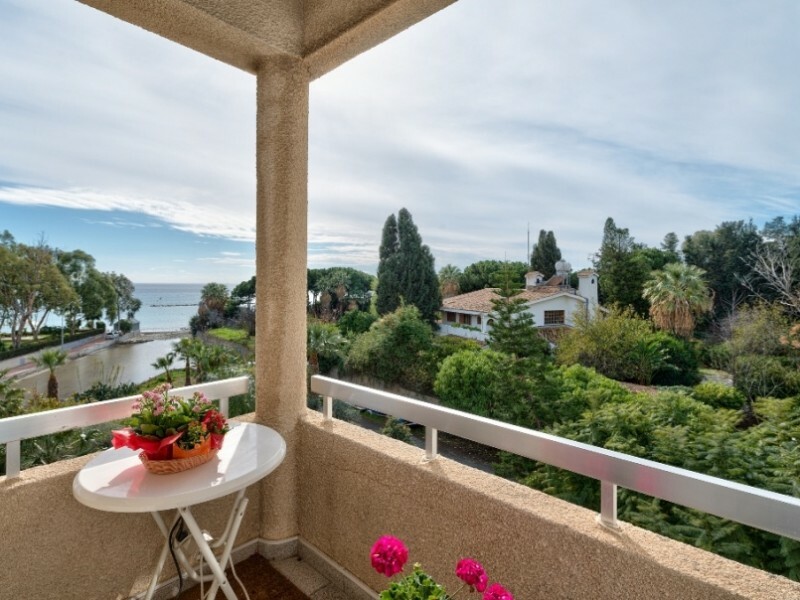 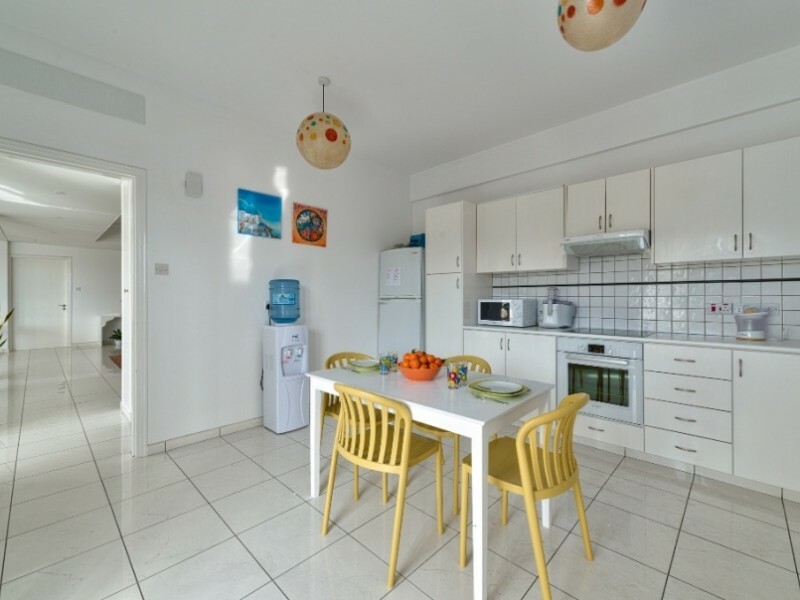 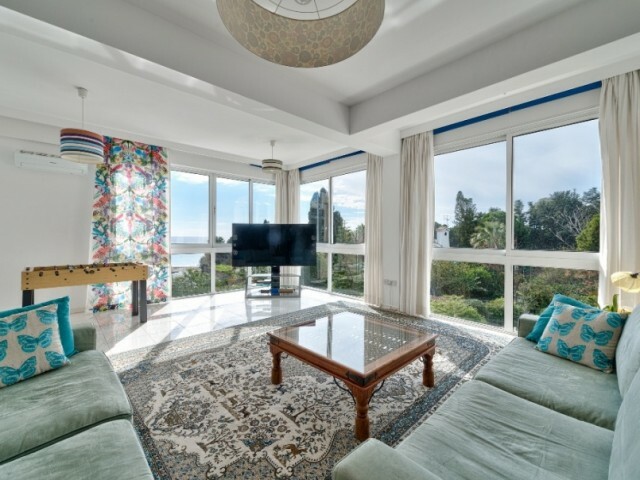 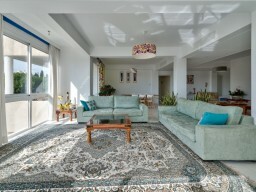 With breathtaking views of the sea and the lush gardens, just a few steps from the sandy beach, three bedroom apartment is located on the first line and in the center of tourist area of ​​Limassol, near the eucalyptus park. 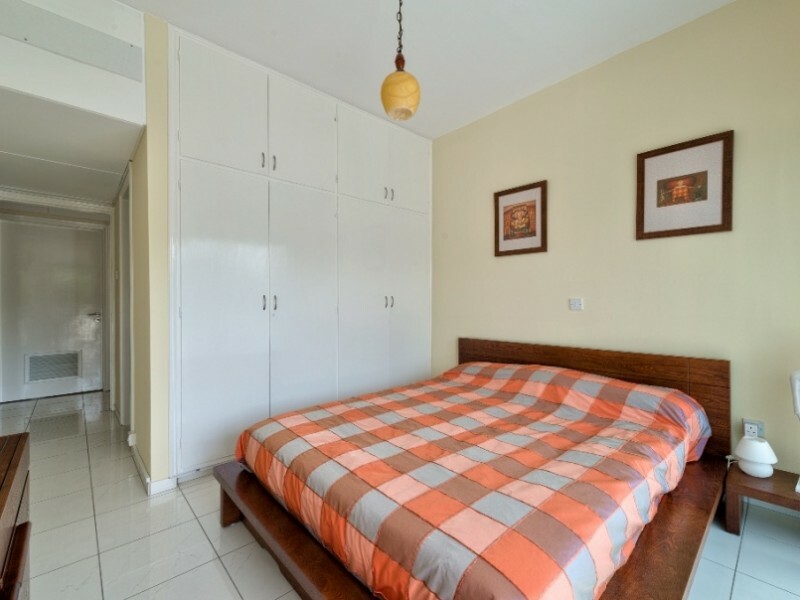 In walking distance of all the necessary infrastructure for a comfortable stay (shops, restaurants, playgrounds, pharmacies). 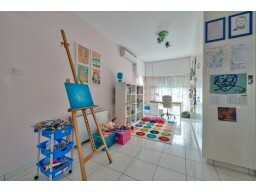 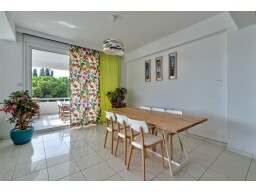 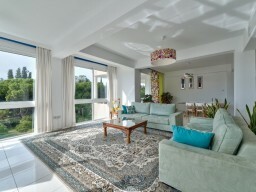 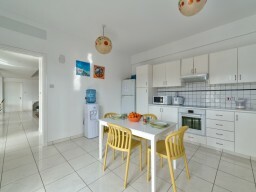 The apartment is a huge living room, divided into three zones - a game, a dining and seating area. 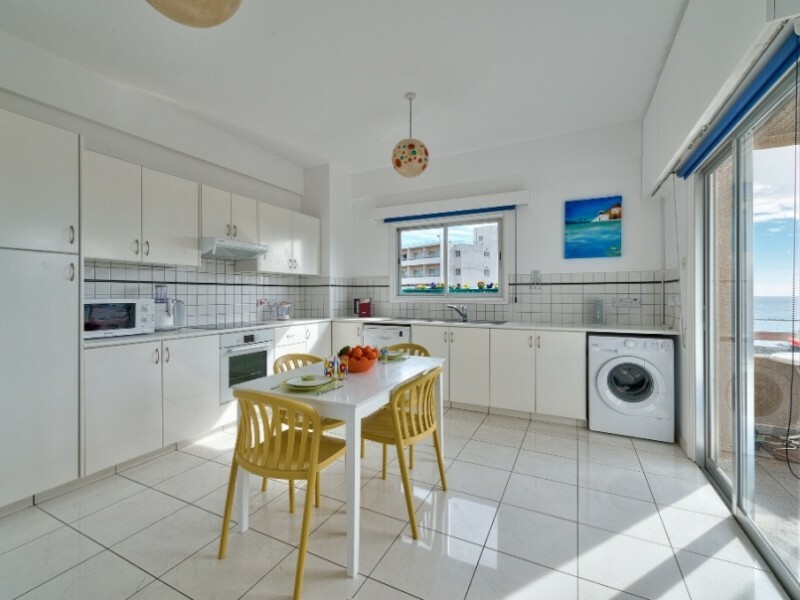 Separate spacious kitchen with all appliances and utensils, including a washing machine, dishwasher, stove, microwave, kettle. TV and wireless internet. 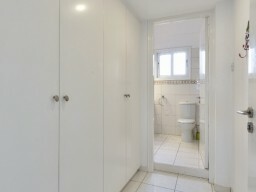 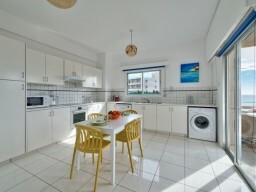 All three bedrooms are comfortably furnished. Two of them with double beds and one with two separate (single) beds and a play (children's) area. 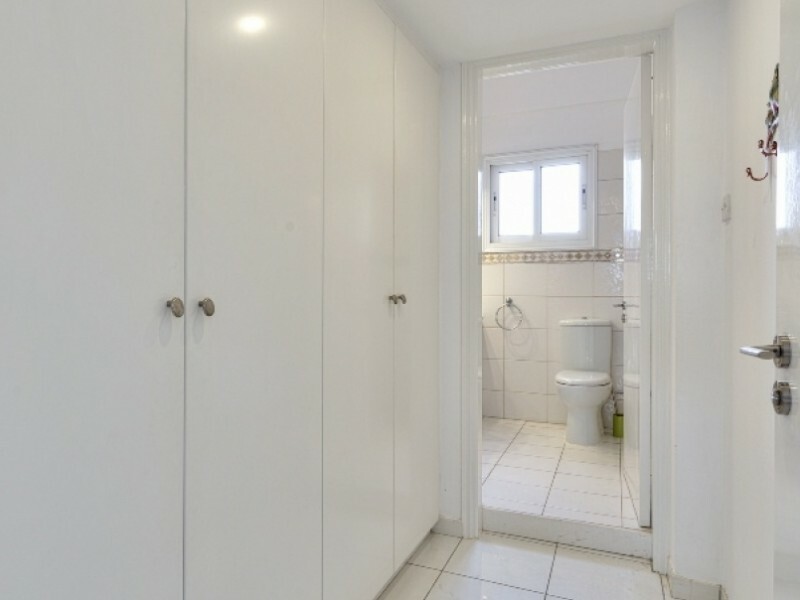 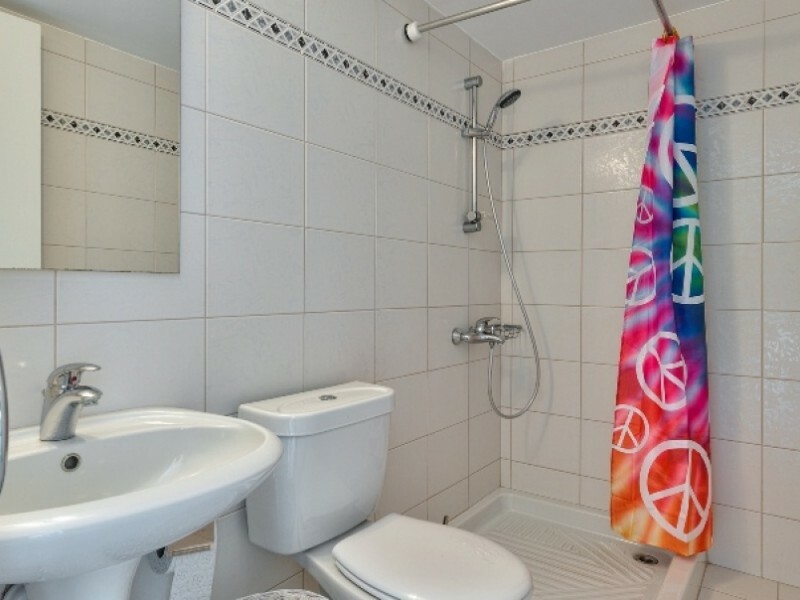 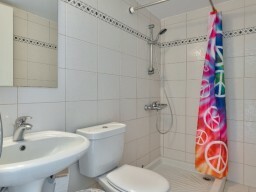 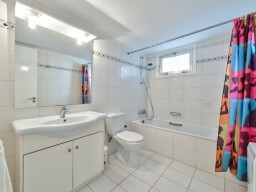 Three bathrooms for each bedroom, a total of 4 bathrooms. 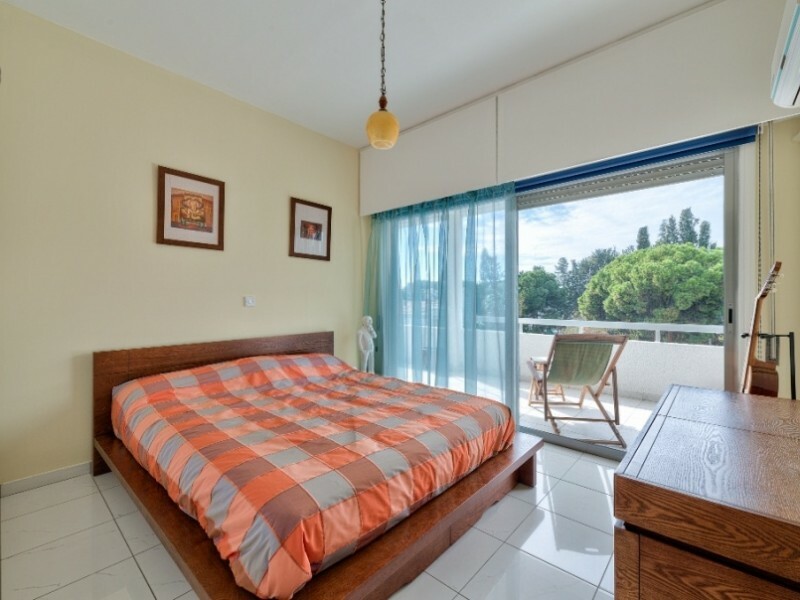 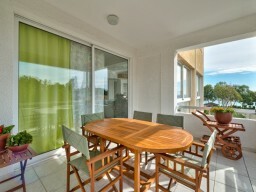 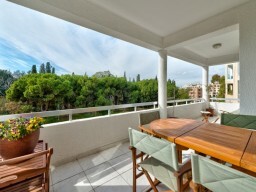 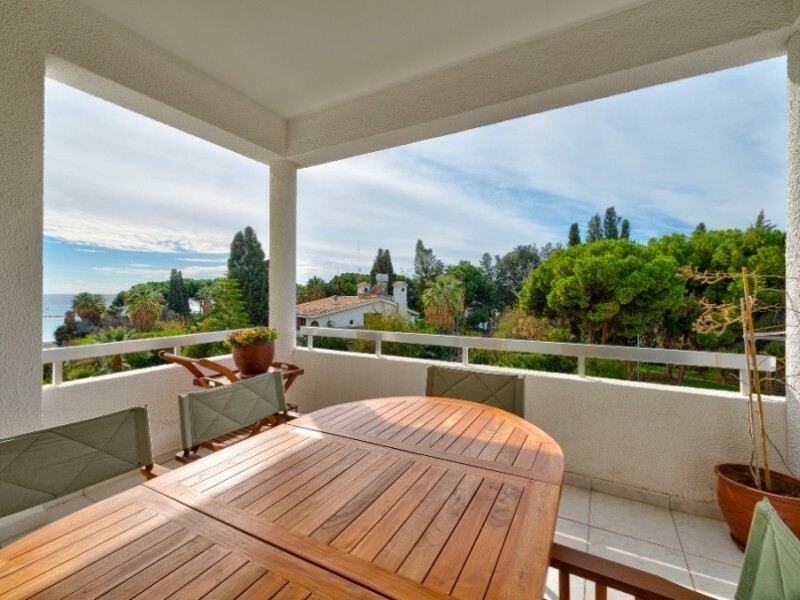 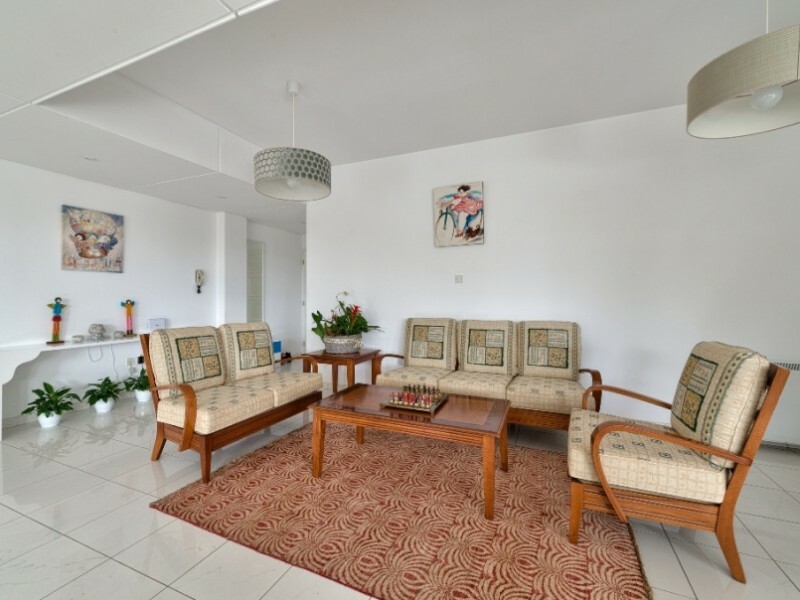 And several terraces with stunning views and comfortable furniture for a pleasant pastime.